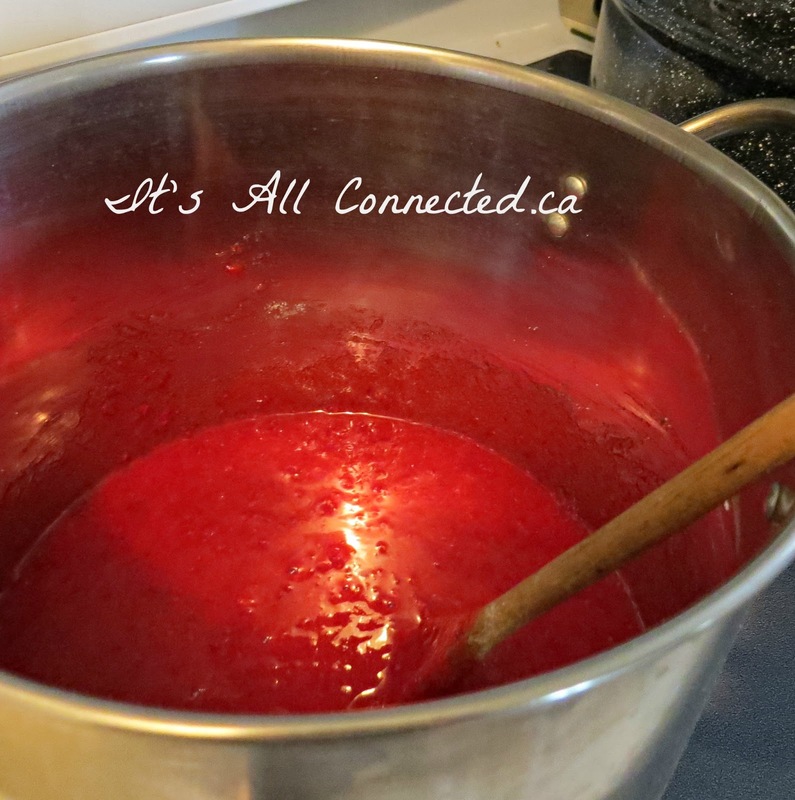 It's All Connected: How Easy Is Making Jam? Making your own jam is one of the easiest things to do in preserving summer's bounty! 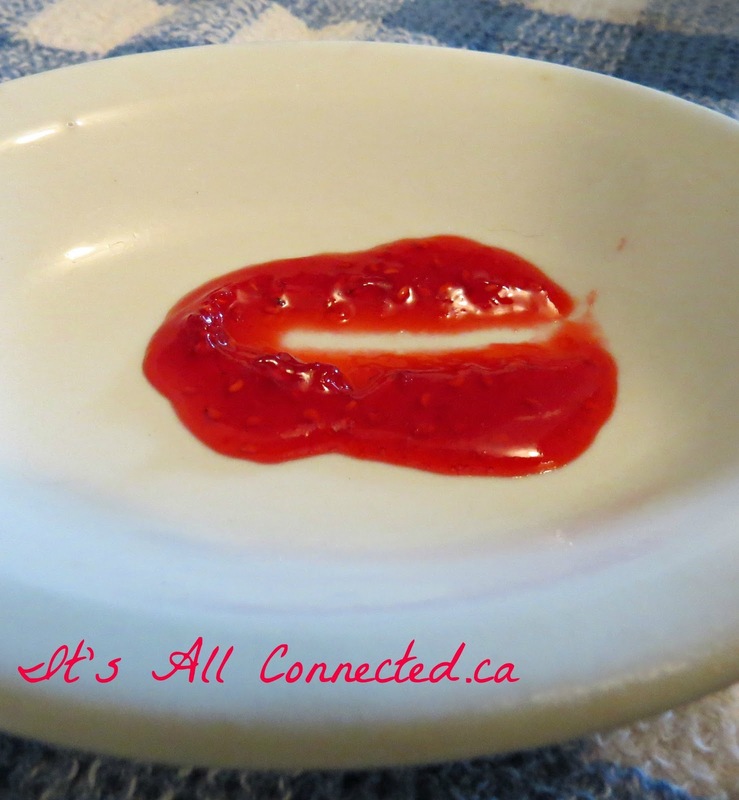 Many years ago, I made a batch of strawberry jam that turned out great and a batch of raspberry jam that was so hard you couldn't chisel it out of the jar. Instead of focusing on the jam that was great, I agonised over the failure and didn't even try to make it again for years. Silly me! If your water is very hard (mine is so hard you could give yourself a concussion diving into it! 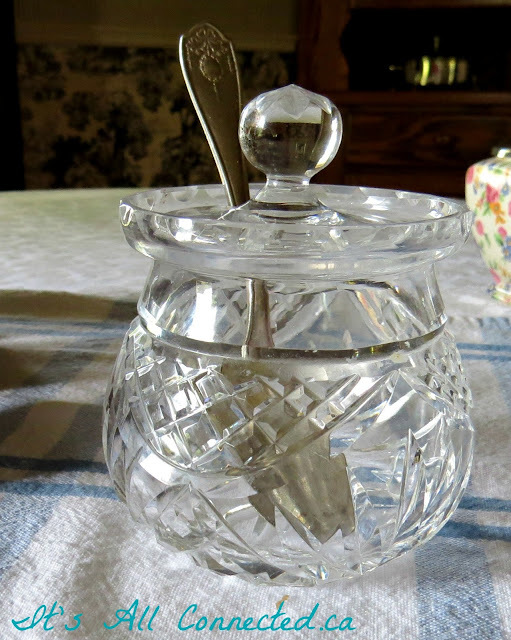 ), add a tablespoon of vinegar to the water to stop the minerals from making the jars cloudy. 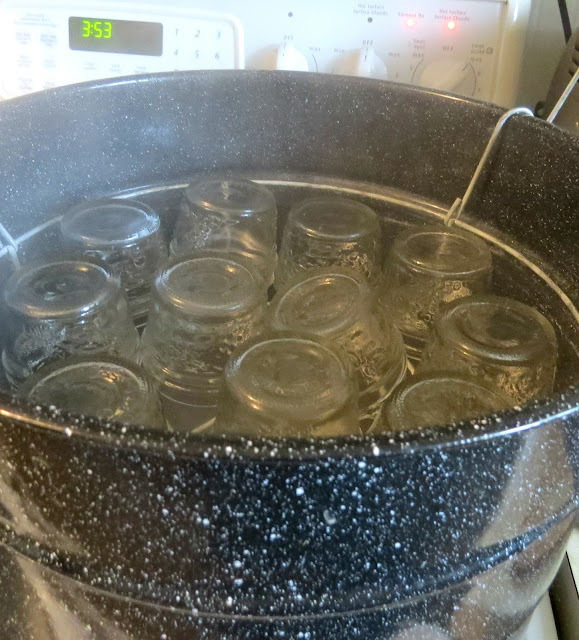 Bring the water to a full boil and invert the jars on the wire rack over the boiling water. Steam sterilises better than immersion in the water. It takes a full five minutes to sterilise the jars. Always use new caps. They should only have a quick dunk in the boiling water so the rubber doesn't deteriorate. Obviously, you will need tongs to dunk the caps. The rings can be reused for years as they don't touch the food. Can you see that it isn't flowing into the centre? That means it is set. If it is still flowing, let the jam boil for another minute and try again. Once it's set, take the pot off the heat and keep stirring for another 5 mins. Use a stainless steel spoon for this part. 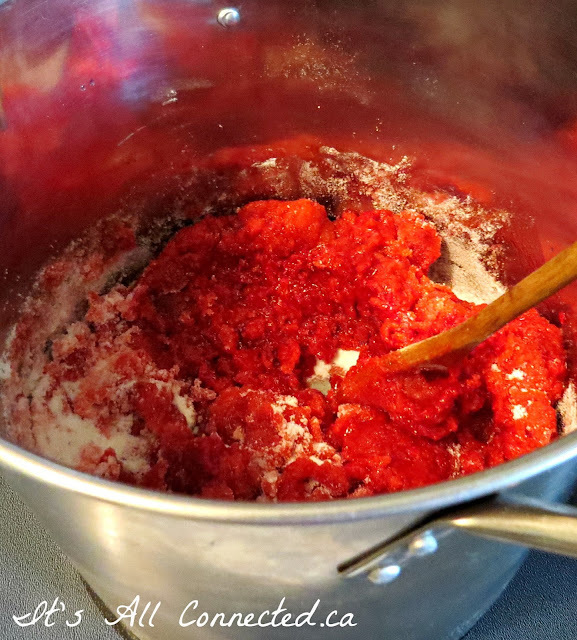 Stir and skim off any foam that is forming on the top of the jam. Keep stirring and skimming for the full 5 mins. I'd show you a pic of skimming but my jam had virtually no foam to skim off. You are skimming the foam so you have a nice, clear jam. The best part about making your own jam is the taste! It's to die for! Second best part is getting to use the adorable jam jars you've collected. So, head out to the garden and pick those berries or grab a bag of frozen ones at the grocery and and get your jam making chef's cap on. It's easier than you think! Cutest little jars. Yes, I plan to make some jam as soon as I am not holding a hairy cat every five minutes. Enjoy! I've never made jam, but have always wanted to try. Thanks for the great tips. 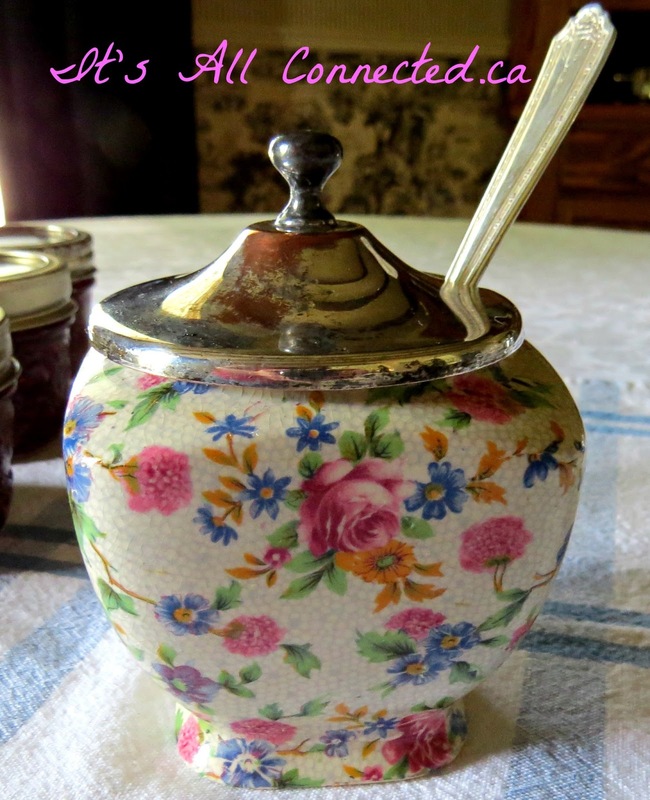 I love that chintz jam jar... so pretty. 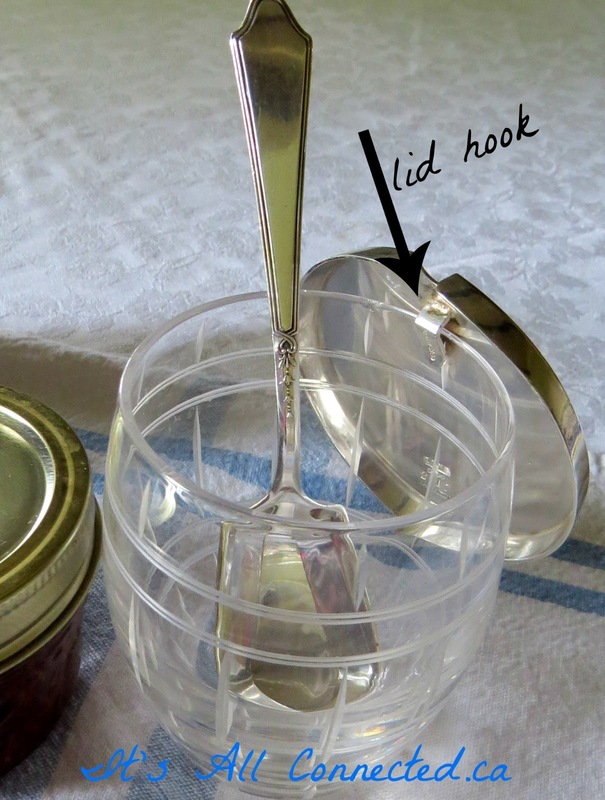 I miss making homemade jams and sauces and this seems so easy. I might just try it, love the jam jars. Girlfriend...You are Mother Earth, what can't you do????? I didn't even know something like quickset existed!! Oh, I bet it is a whole ton better than store bought! Yum, making jam isn't what scares me it's the sterilizing part Im always scared I wont do it right and I will give everyone food poisoning but I have made it in the bread maker which make about a jar and then since it isn't being stored I don't get too fussed. But I would love to make it in jars. How tight is "finger tight"? In case anyone else has the same question as Mel, you tighten the rings as much as you comfortably can do by hand. The ring only holds the lid in place until the the cap pops and is sealed. I have NEVER made jam!!! I didn't know the tip about the vinegar. Our water is very hard here in Birmingham. 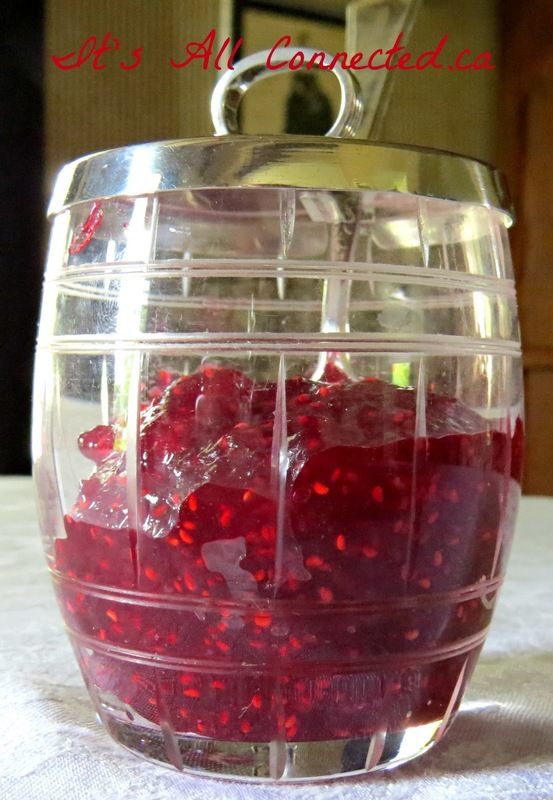 Your jam jars are so pretty! I've never canned anything, but maybe I'll try. 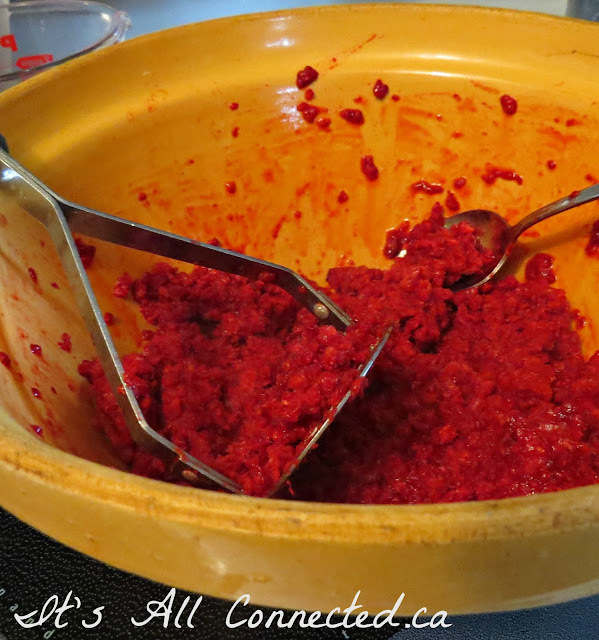 Yummmm.... My mom used to make plum jam. I've had some good stuff since, but never any as good as hers. I can taste it now. 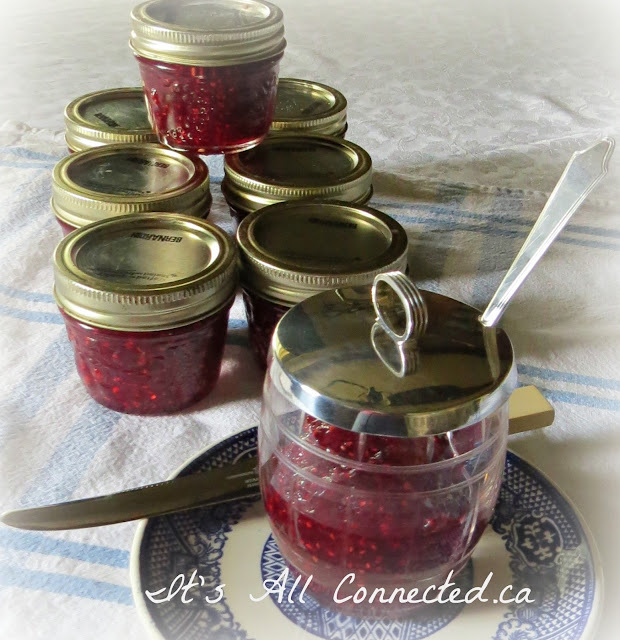 Maureen ... your jam jars are beautiful and the jam looks so pretty. Thanks for all the good instructions. My SIL had a gift box of pears that got too ripe and he was gonna toss them, but I made the best jam out of them. I always been a bit worried that Jam making was more work than it was worth, but whoa it looks simple enough even for me :) Thanks for sharing. Hello Maureen, I love making jam - this is a terrific tutorial and that jam pot is gorgeous! Nothing tastes the same as home made...yet store bought could be mighty tasty in those sweet little jam jars you have! Your instructions are very clear and your jars beautiful. The best thing about home-made jam is that you can make varieties which are simply not to be found in regular stores, such as gooseberry or, the most delicious of all - black currant jams. Oh homemade jam is soooo good. You've made me want to make some. I wish that I had pretty jam jars like yours to put them in . 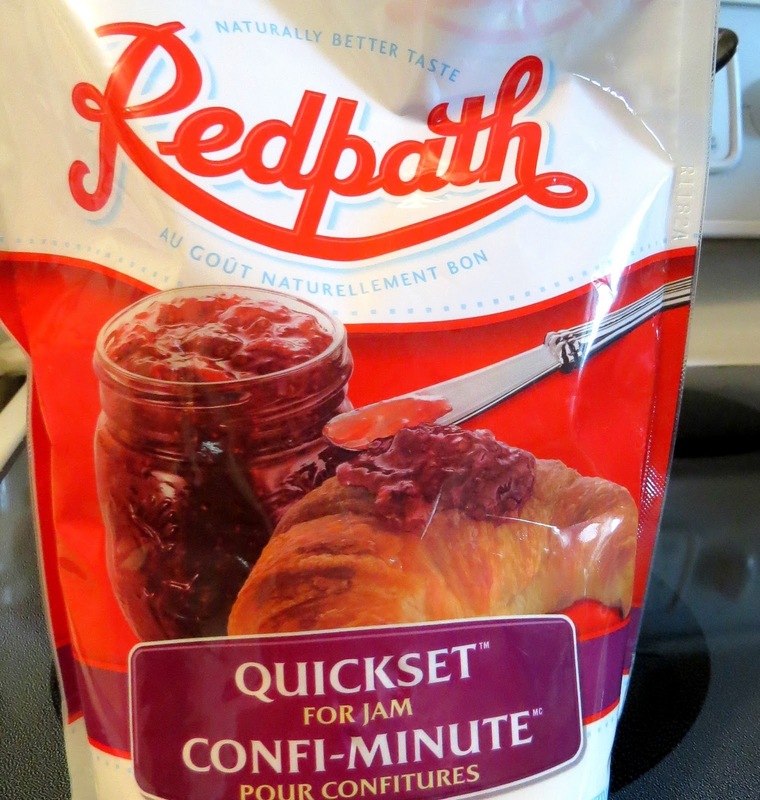 I've never made jam, but you make it sound so easy, and it looks delicious. Love your collection of pretty jam jars. You just need some scones, Devonshire clotted cream and Earl Grey and you would have a very English cream tea. Can I pop round, and can we sit on your lovely porch, if the rain holds off ! I can absolutely verify that the raspberry jam was out of this world. Now I have the but and need to make some jam. Going to experiment with lowering the sugar content of possible. Oh yummmm! Now I want some canning equipment! That jam jar is sweeeeeet! Following you from "Thursday Favorite Things"!